The Bluetooth-enabled smart plug features presence-based automation. Nyrius has announced the availability of its crowdfunded Smart Outlet, a connected power plug that can toggle appliances on and off based on human presence—well, sort of. 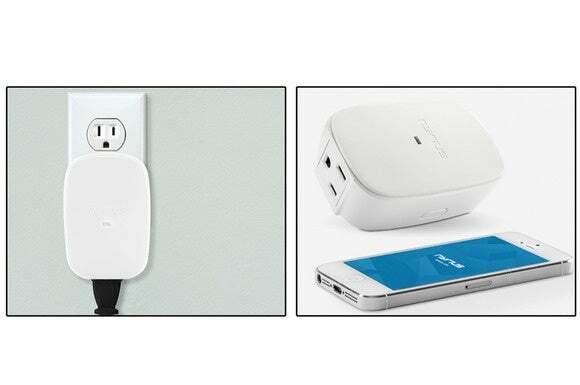 The basic purpose of any smart plug is to allow your otherwise “dumb” appliances and gadgets to be controlled wirelessly from a convenient distance, which in the Bluetooth-enabled Smart Outlet’s case happens to be a maximum of 33 feet. Of course, what truly matters are the things that you can do within that radius. You don’t need to actively control the outlet at all times. The companion app lets you program the device to switch plugged-in appliances on and off according to a custom schedule, sans any user intervention. These custom schedules—referred to as “Timers” in the app—can include different timeframes on different days of the week. For example, you could tell the Smart Outlet to power on your coffee maker at 6 a.m. on weekdays and at 9 a.m. on weekends. The one feature Nyrius—which specializes in lifestyle electronics and gadgets—seems to be most proud of is Proximity Control. It is the use of Bluetooth-based proximity tracking technology for automation: Enter a room with your Bluetooth-enabled smartphone in tow, and any appliance that you’ve plugged into it will be automatically switched on; conversely, leave the room, and it will be automatically switched off. The feature can be enabled or disabled from within the app. Yes, this is very much like the Zuli Smart Plugs we reviewed in September. Speaking of the app, you can use it to control up to three different Smart Outlets on iOS and up to seven on Android. These are the only platforms that it’s available on right now. As for the device itself, it’s available from the company’s website for $40 a pop. Why this matters: This is not the only smart plug on the market right now; there are countless others, and it all really comes down to preferences when choosing the one that’s best for you. If you want the ability to control your appliances from halfway around the world or the International Space Station, the Nyrius Smart Outlet is clearly not for you as it has no concept of the Internet. If not, its Proximal Tracking feature makes it a pretty decent option. However, we’d still like to see some third-party integrations and the ability to track power consumption.